Australian Government, WFP and UNICEF launch partnership to help communities prepare for and respond to natural disasters. COLOMBO, 23 May 2018 – 96 per cent of disasters in Sri Lanka are caused by climate, such as flooding, landslides, extreme winds and drought. Sri Lanka was ranked the fourth most climate change affected country in 2016 according to the Global Climate Risk Index, 2018. Simultaneously, heavy rainfall during the southwest monsoon period in 2016 and 2017 caused widespread floods and landslides in southern and western regions. Over 500 people were killed (including 191 people still reported as ‘missing’ in official documents) and over 1.3 million people were affected during the two years. The high number of deaths is being attributed to inadequate emergency preparedness measures. 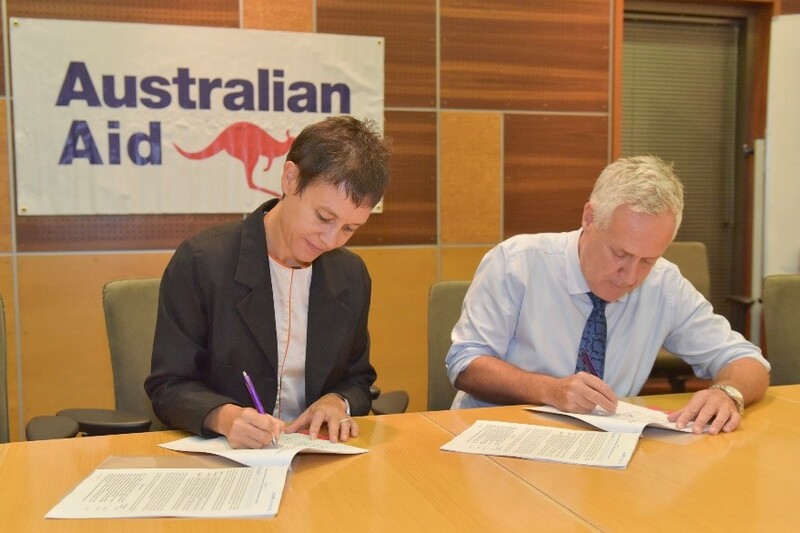 In response, the Australian Government, WFP and UNICEF have signed a 3-year partnership (2018-2020) with a funding of AUD750,000 (around 89 million Sri Lanka Rupees), to ensure stronger preparedness and faster, more integrated responses to natural disaster emergencies in the country.